It is always great to get back to Croick after a period away, but particularly when the weather is glorious. We returned on Tuesday and yesterday we had a fantastic day. Frost in the morning, low mist gradually burning off and bright sunshine for a few hours before the light started to fade in the early afternoon. Of course we had to head up the strath to see what was going on. 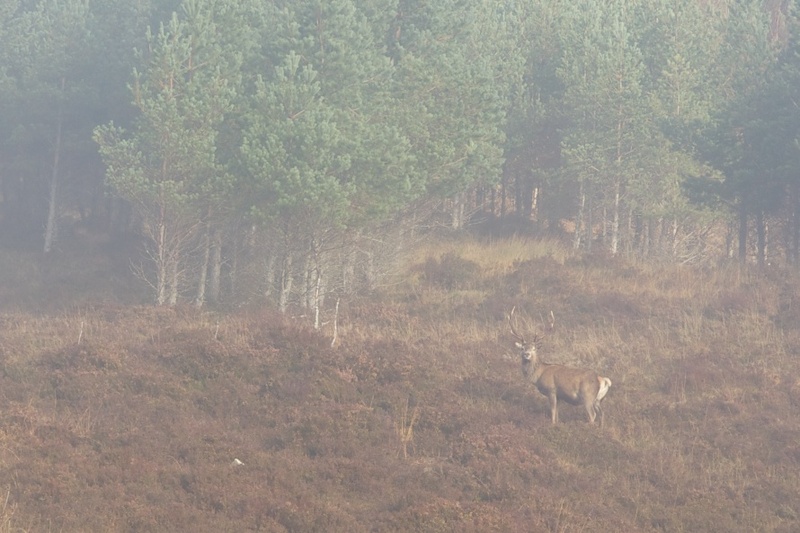 It was nice to see plenty of deer about, including the stag below who we got a good sight of before he disappeared into the trees and the mist. We headed up to the far end of the estate, to Creag Mohr bothy. We repaid this in 2007 and it has become a regular stopping off point for walkers on the way to or from Ullapool, and for Duke of Edinburgh Award participants. We get lots of positive comments in the visitor’s book, which are much appreciated. However we have always been aware that one thing which was lacking was a decent table and benches, and that has now been fixed. All are welcome to spend a night there. 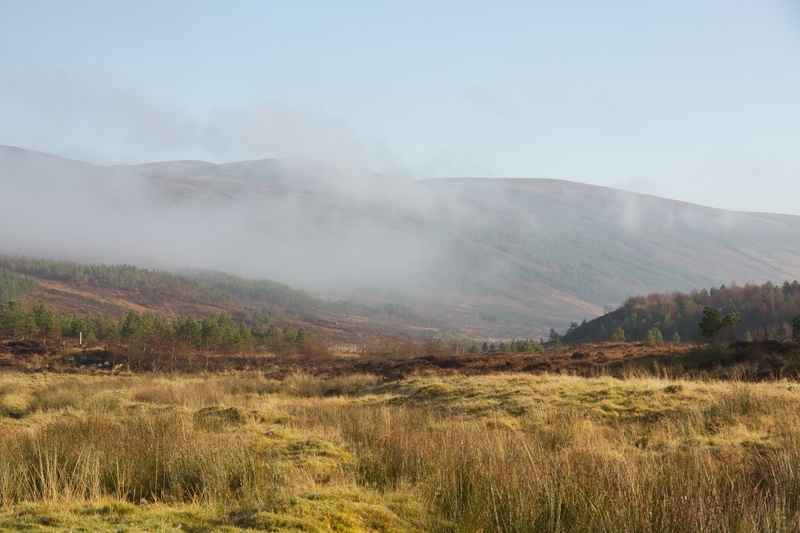 It is just off the track at the top of the strath. And if you look carefully there is a bridge across the river (use at your own risk). I know from the comments that not everyone finds it. 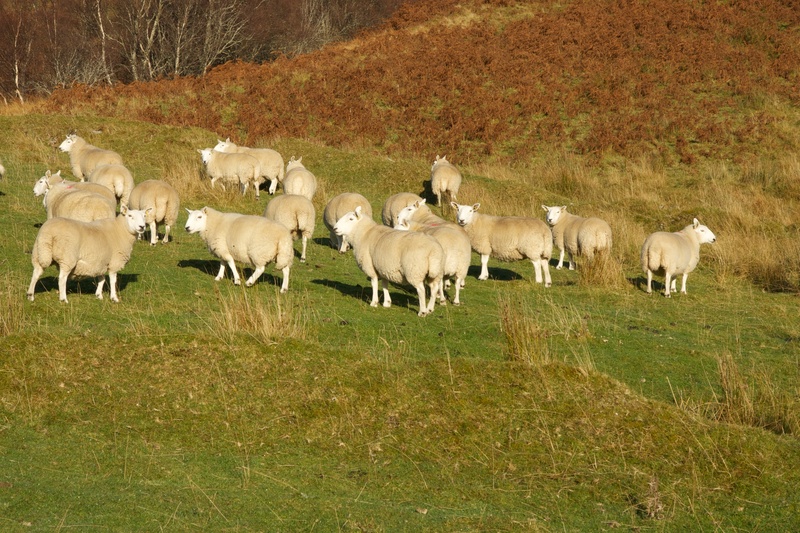 We also caught up with our ewes. These are now approaching two and will be ‘put to the tup’ in the next few weeks. They looked in great shape though the grass is getting a bit short. We shall send them off elsewhere over the winter to give the grass a chance to recover. The first lambs of our own next spring is something to anticipate. No doubt there will be lots of coverage here when the time comes. 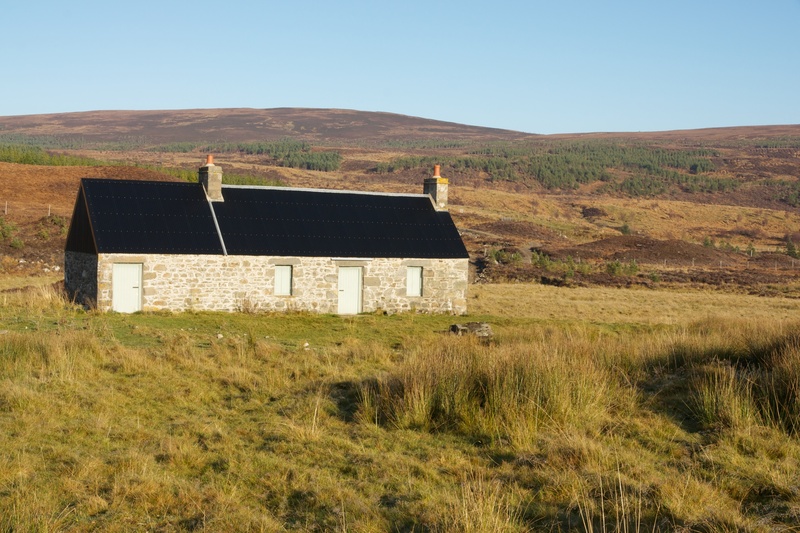 This entry was posted in Uncategorized and tagged bothies, Creag Mohr, Croick, red deer, Scotland, sheep, stags. Bookmark the permalink.